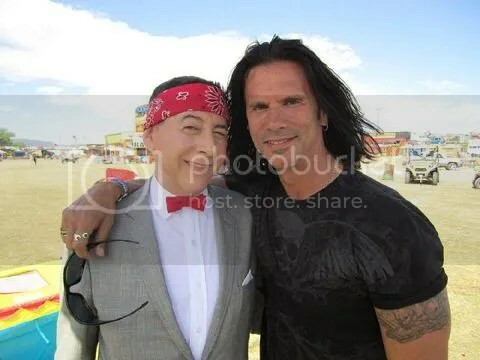 Last week, Paul Reubens kicked off Sturgis (thanks Anne!) 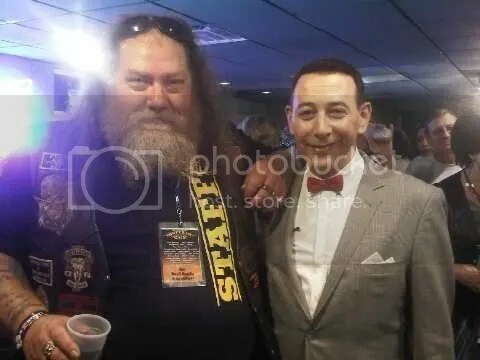 and upon discovering that info I sought out a plethora of photos of Pee Wee getting gnarly with the local biker dudes. 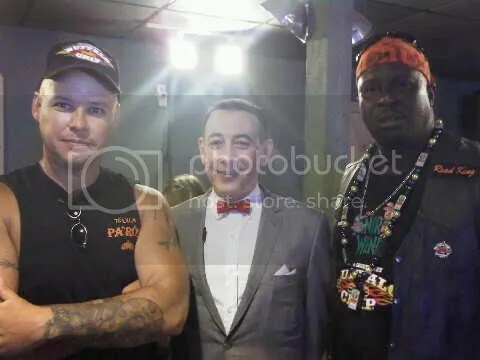 He had a custom made America bicycle made for the event, and if you haven’t heard, a new Pee Wee Herman movie is in the works and working on the script with Reubens and Judd Apatow is none other than Le Mars’ native son, Paul Rust. I am going to be holding my breath in giddy anticipation.